Now you can quickly and easily estimate the cost of all types of electrical projects involving new construction and renovations in both commerical and residential buildings. Here is all the information you need for estimating and bidding construction and home improvement projects. 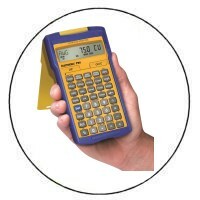 Guaranteed to improve your estimating skill and bidding results: What to look for in the plans. How to scope out the last 5% of job costs. Immunize yourself against common estimating mistakes. Explains what you need for a career as a construction estimator, how to construct a take-off from the plans, how to check the details of an estimate, prepare a schedule, deal with subs, and calculate project overhead and profit. Get fast, accurate Linear, Area and Volume takeoffs from blueprints, drawings and maps. It features 72 built-in scales – 6 custom scales and 2 built-in memories. Quickly switch between Metric and Imperial Modes. A Lock switch prevents accidental changes of scale or mode. The "First-Ever" Wireless Plan Wheel! Scale-Link Wireless PlanWheel lets you scale dimensions into your PC up to 25 feet away!